Silent Hill 1 for the PS1 turns 19 today, making the whole franchise turn 19 today. I just kind of want to talk about the series despite it probably being long gone at this point, but what are some of your guy's memories of the Silent Hill series? What's stuck with you all of these years later? Cool he shared this and they honestly look pretty good! So ResetEra, let's talk Silent Hill memories! One of the best franchises ever. There are horror games and then there is Silent Hill. I played through Silent Hill 1 on my PSP back around 2007 or so. It looked pretty damn good for a PS1 game- the art design and general engine performance are really something considering their limitations. 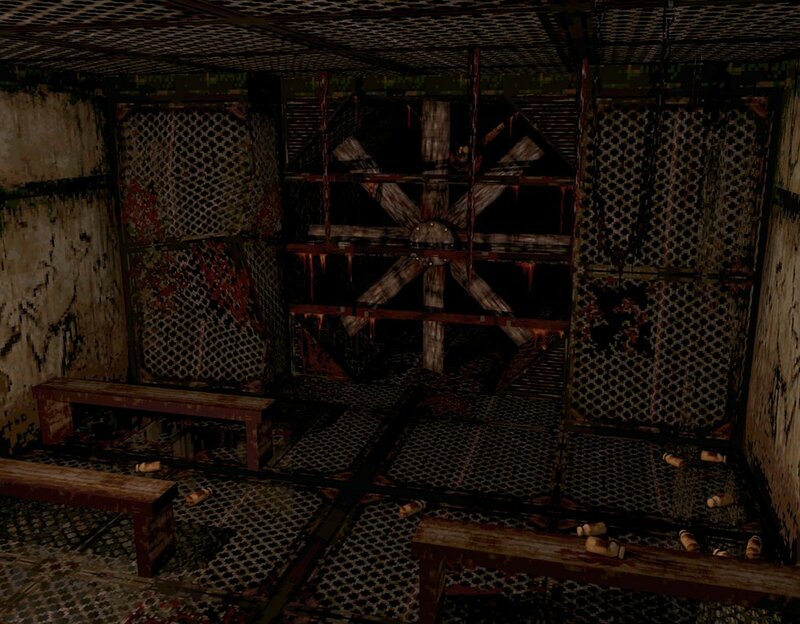 Silent Hill's rustic and abandoned look is still unmatched to this day, it really gets the imagination flowing and such. Ito really knows how to do a horror atmosphere without having to rely on text and dialogue to emotionally condition the players, rather his texture work to portray a twisted reality does all that. There just isn't anything like Silent Hill 1 - 4 anymore outside of mods that use the same textures. Next year is the 20th anniversary??? I still remember the school in sh1 like it was yesterday. Silent Hill's horror-industrial look is still unmatched to this day and that's impressive given that they had so few resources to develop the game. What's stuck with me all of these years later? In all seriousness, I can't believe it's been 19 years. One of the great horror games and one which spawned two more classics. Way ahead of its time. I think it's my favourite videogame series. i'm gonna miss this series :( my favorite is probably 3 i never finished 1 or 2 but i have no way of playing them now and i enjoyed both Homecoming and Downpour. 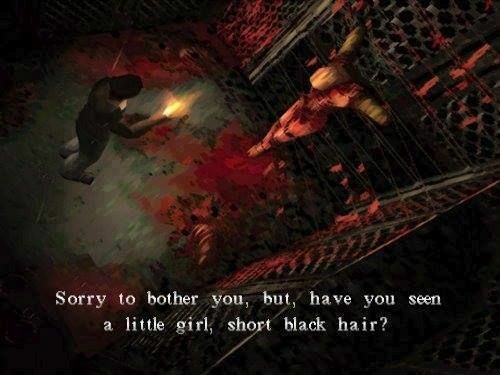 Silent Hill 1 on PS1 was scary at that time because of the rough graphics, jaggy edges, pixelated textures and characters which gave much room to your imagination. If they do a remake even by Silent Team it won't be as scary as the first one.And it still looks great even for today. I have the game on digital store. I wish Sony makes PS1 games playable on PS4 & Konami brings all Silent Hill games as PS2 collections on PS4. I wish the first game wasn't censored in Europe. 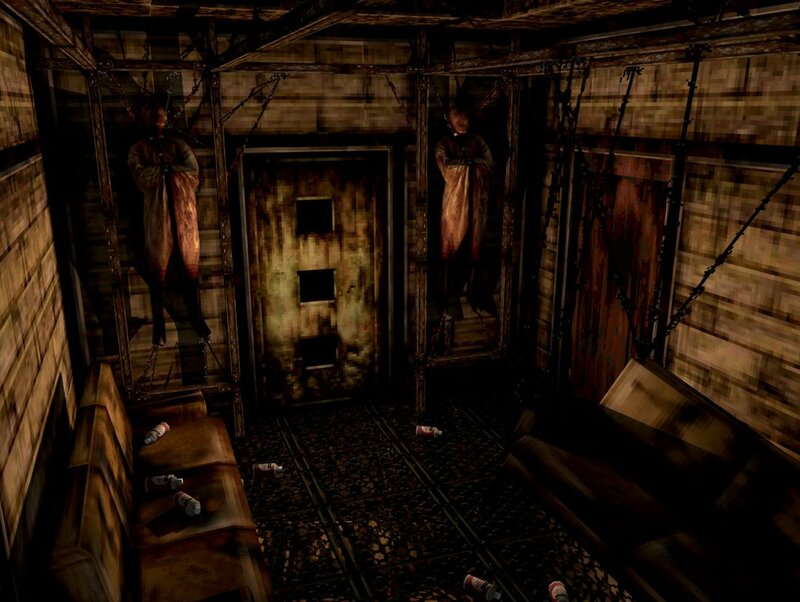 Silent Hill could scare me into palpitations just with its sound and environments. Even if literally nothing else was happening. It hit the perfect balance of making you feel unsafe-safe-unsafe with its "otherworld" and "fog world" environments. I still remember the pure relief I felt when I finally made it out of Midwich Elementary and you're back in the "real" world in the daylight. Silent Hill was definitely a technological achievement at that time. I'm guessing it's one of the few 90s game with a big 3D world. The loading was masked behind the thick fog I believe. 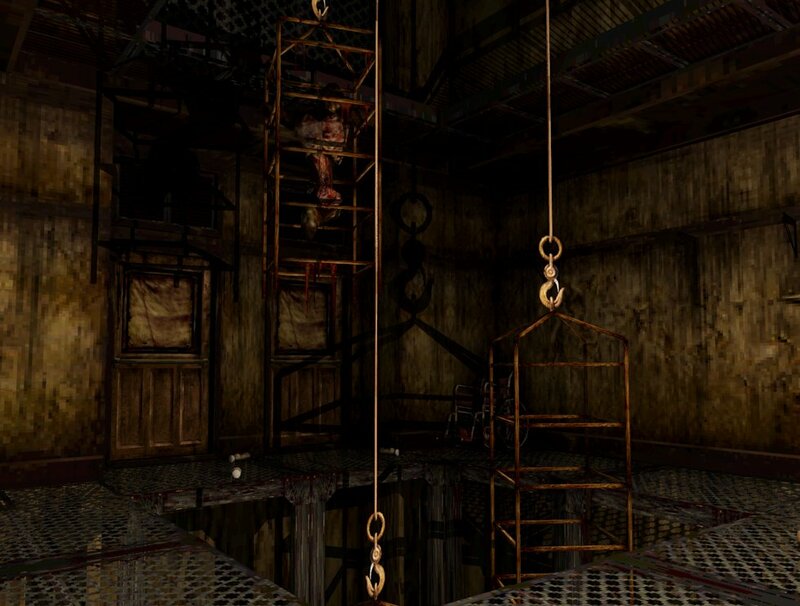 And the first game Still has the best audacious camera situation in all the games and eevry sequel failed to maintain or to get inspired from which made them less scarier when it comes to sudden scares, or building an entire atmosphere based on that. That camera when you cross the alley with the wheelchair the first time can be considered as the best camera work in any media to date and was even copied in the movie. I'd love to see Sony invest in the Siren series again. Maybe a Team Siren/Kojima Productions collaboration? It's the closest we'll get to a new Silent Hill game that actually feels like Silent Hill. I hear there's a wonderful HD collection that does just this! Siren for psvr please Toyama. I first started played these games over a decade ago, when I was 11 or 12 in middle school. Started with Silent Hill 4. "Wha? 4? That's a terrible starting point!" Maybe you think so, but it's a terrifying game, even more so when you're not even a teenager yet. Loved the haunted apartment, the monster designs, the ghosts harassing you no matter where you go, the story and lore behind Walter Sullivan... it was brilliant. After that, I tracked down the first three, which were all marvelous games. SH1 I was able to get for just $15 at a video rental place we'd go all the time (even though it went for much more on the internet). SH2 took some real tracking down, but I eventually was able to find it at a GameStop. SH3 was given to me as a birthday gift by my best friend in 6th grade <3. 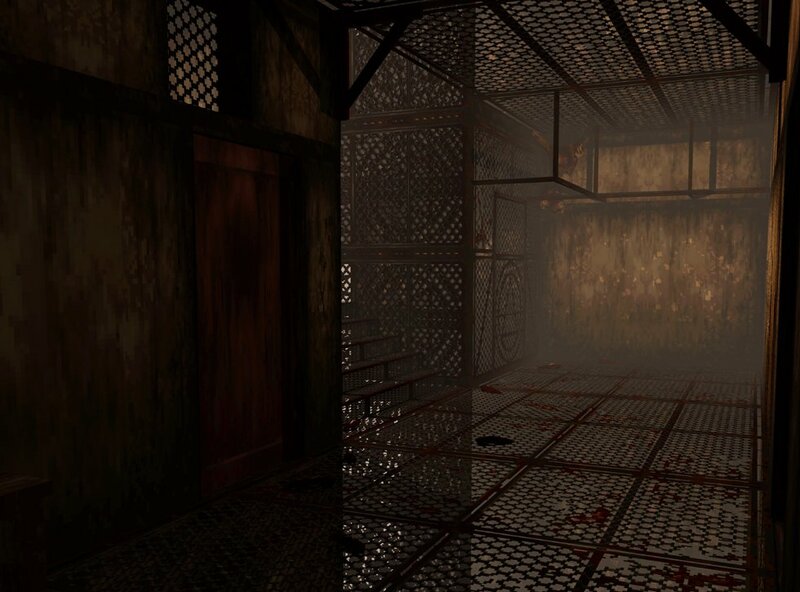 These games are downright magical, and formulated my idea of what good horror is. Was this edited or what? I don't remember that dialogue at all lmao. Happy birthday greatest game trilogy. Even through the blurry polygon mess of the PS1 you could tell the game’s art design was top notch, which terrified me in a good way. Do you know/remember this haunting in the game? Legit, still to this day, one of the scariest things I've ever experienced. Yes!!! A true wtf, unexpected moment. The apartment was your sanctuary, it was a safe place for you to regen health, read notes, and store items. All that is swept out from under you, as you're forced to wonder about what bizarre haunting awaits you upon next return. Needless to say, I used a bunch of Saint Medallions and Holy Candles to purge that place. Great to know that Kowloon was an inspiration. Do we know anything about the Kowloon's Gate remake for PSVR that got announced last year? Half jokingly I was gonna assume he’d just post screenshots of Kindergarden Cop. That means Syphon Filter is 19, too. Didn't they come out on the same day? I remember buying SF, my friend bought SH, and then we traded. Killer one two punch. I like how in the replies a 3D modeler asks him "so how many polys bro" and Ito is confused why anybody would want to know that info. It's < 1,000 tris per room. Those are some stingy requirements! Legit laughing really hard at this, this is amazing! where staying in a hospital room too long will spell your gruesome demise. I haven't played any of the games beyond Origins yet but part of me does want to try them soon, despite their mixed reception. I love the survival horror genre and I love series. Man, 19 years ago this game scared the crap out of me. And it's sequel left an everlasting impression on my psyche. There was a game series here. I'd say remake it looking it's CGI. I'll always remember the first time I arrived at the otherworld school in SH1. I was only like 13 or 14, and I was already shitting bricks with the game, powering through it only during daylight and when not home alone, but when the transformation happened and I saw those scenarios from OP my brain said "enough is enough" and I just shut down the console. Took me like a couple of months to build enough courage to go back to it. Haha yeah I'm pretty sure it's edited. It makes the point though. I'd dare say it still holds up amazingly well. All in all, Silent Hill 1-4 are amongst of my favorite games ever and those are extremely talented individuals behind each one and I still have little hope of a Team Silent reunion, even though they went their seperate ways and are now doing their own things. Need to replay it soon, amazing game. I completely agree. I bought the first one again around the holidays during one of the sales on PSN, and I was actually quite impressed it held up so well with the feeling of sucking you into the world. I never played 3 or 4, only a demo for 3 back in the day. I adored the directors cut of 2 on the Xbox (Restless Dreams), and would love if they ported the PS2 version of the DC on the PS4. I would be in, in an instant. Not sure about buying the HD collection for the PS3, since I heard it was very buggy due to them not being able to work off of final code (it was lost) when doing the port. Let the man make a new Silent Hill. I still love SH1. I remember playing it with a friend on New Year’s Eve 1999 and trying to get the ‘good’ ending. We didn’t care if the world was going to end, we just wanted the goddamn ending. I have amazing memories of the Silent Hill series. I got my first PS1 back then in 2003. Most of my classmates had one, so we would meet in our houses every weekend to play together and trade games. One day, we were all at my classmate's house and he was like ''guess what guys, I got this game from my old brother's room, let's try it". There were 5 of us, 11 years old kids alone in a house playing Silent Hill on a Saturday evening. We did not know what we were getting ourselves into. The moment we saw the corpse of a man hanging from a fence in the dark alleys made us freak out so much. By the moment we were attacked by those 'monsters' and we had no means to defend ourselves, we just lost it. We got too scared and turned the console off. Of course the older brother of my friend had to go and make things worse. He claimed this ''corpse" in the game talked to him after we left the living room. We freaked out even more. I remember I was afraid of walking in front of his bedroom, because he had a huge poster of Eddie being dissected in the Iron Maiden's album The X Factor. I remember thinking to myself 'this guy is into really bad stuff'. Little did I know, years later I would follow his awesome music tastes as well. I don't think there was any loading except the loading screens, but the fog and darkness helped hide pop-in, which a lot of games suffered from but not many tried to hide too much. Anyways, happy birthday Silent Hill! The first three games are bonafide horror classics. 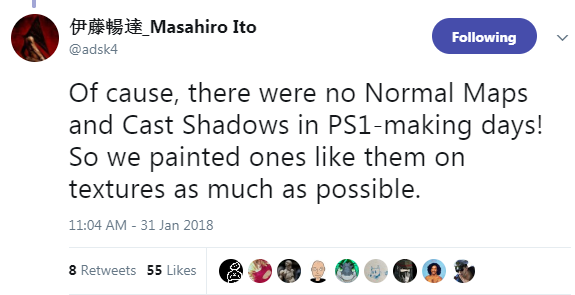 Masahiro Ito is a treasure. I was only 10 when the original SH came out, so SH2 was my first experience with the series. It left a lasting impression on both my gaming and horror tastes. It's a shame the series declined, but nothing they do will taint my fond memories of 2 and 3.